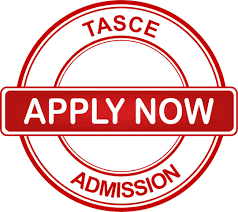 TASCE NCE Post UTME form 2019… Interested applicant should follow the lead below to be guided on how to apply for Tai Solarin College of Education (TASC) NCE online. This is to inform the general public, especially aspirants of this institution that the 2019-2020 admission for the 3 Years Full-Time NCE Programmes progress. Application forms for the programmes listed above are currently online at https://nce.tasce.edu.ngthe following cost and payment will be made online with your ATM cards. Arthur Javis University Courses and Requirements | Full List of Courses Offered. « Rufus Giwa Poly 2nd Post UTME Form 2019 | Cut off Mark and Registration Guide.